Congratulations to Namrata, winner of a Slim Wallet! 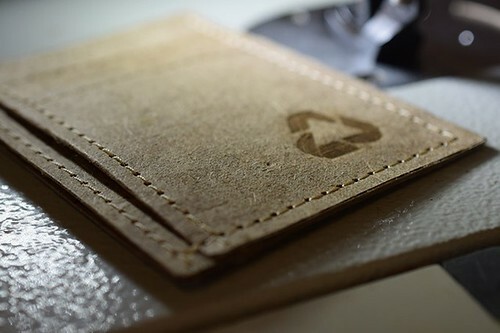 If terms like eco-friendly, sustainable, handmade, vegan, durable, and lightweight are appealing to you when it comes to choosing a new wallet, this brand new design from Green Banana Paper has your name on it! Perhaps you'll recall Green Banana Paper's previous Kickstarter campaign that was introduced on the blog earlier in the year. Its very successful funding meant that the company was able to buy new industrial sewing machines. 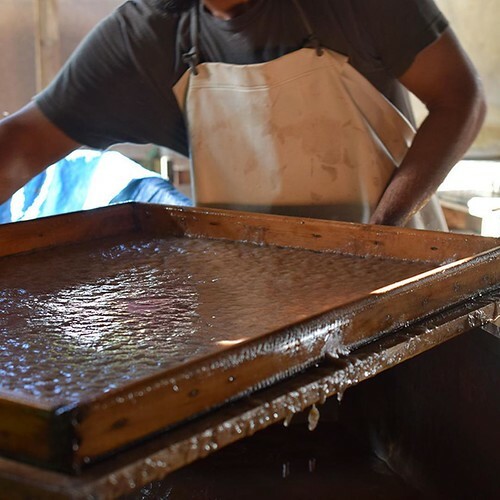 In that post, I explained that in Kosrae, Micronesia, American expat and volunteer teacher Matt Simpson had launched an innovative company that makes use of otherwise discarded banana tree trunks after harvest by recycling the fibrous material into sturdy paper. Matt explained, "Unlike hardwood fruit-bearing trees, banana plants only fruit once in their lifetime. When the bananas are ripe, farmers must chop down the entire stem so that a younger offshoot can grow from the self-replicating stem. Normally, these stems are left to decay in the jungle as a byproduct of the fruit harvest." He recognized that creating new uses for banana trunk fiber would improve the lives of his former students and island residents. A company that produces and exports sustainable goods is a win-win situation. 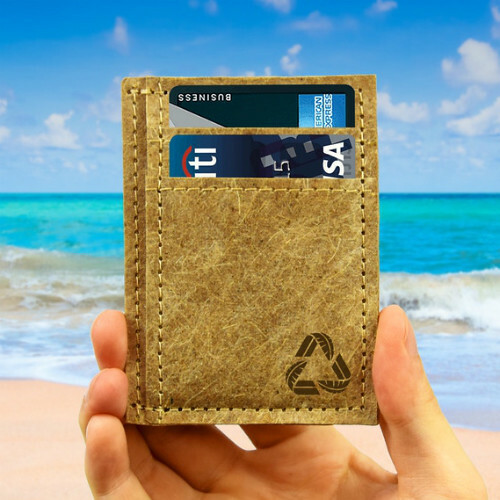 The Green Banana Paper factory still produces the wallet models that were featured in the previous campaign (above). This time however, its new Kickstarter campaign focuses on the minimalist Slim Wallet for those who prefer to carry a smaller, lightweight model. Measuring 3.1 x 4.1 inches, it weighs about one-tenth of a leather bi-fold wallet, yet holds quite a lot. The interior features three card pockets, a cash slot, and an ID window... enough to contain six cards, twelve bills, and your ID. If the wallet gets wet, no worries; just let it dry. Visit Green Banana Paper and the new Kickstarter campaign where I think you'll be impressed by the reasonable prices and incentives. 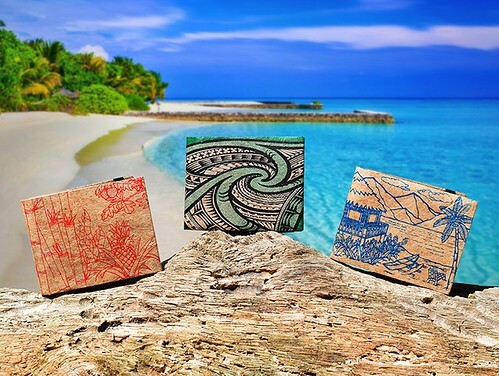 Start your holiday shopping... wallets make great gifts and come in ready-to-give packaging. Green Banana Paper is on Instagram, Facebook, and Twitter. The same giveaway is underway on Instagram. You may enter both places to double your chances by the end of Saturday, October 7, 2017. A winner will be chosen at random from all entries, notified, and announced at the top of this post and on the Instagram photo. 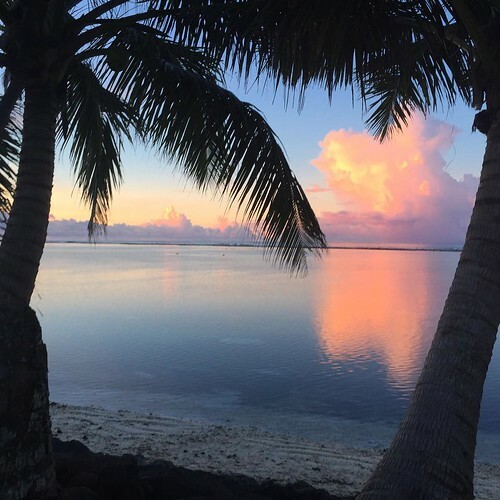 Good luck... you just might be the recipient of a package from paradise! This post is sponsored by Green Banana Paper. Being from Delhi the most polluted city, I am so glad to know about such an innovation. Eco-friendly products like this should be available all over the world so that we can help clean our environment. Wow! What a great eco friendly idea. I think it's great that everyone, the natives and the environment (and hopefully me)benefit. What a worthwhile venture...........helps everybody and the world. What a great idea!! I never realized that banana trees only bear fruit once and have to be chopped down. WOW! Thanks Green Banana Paper for the useful eco-friendly giveaway. Recycling in any form is to be applauded! Thank you! Green Banana Paper is giving us hope. Hope to believe that we can really change the world. One thing at time! The giveaway has ended - thanks to all the entrants for their Green Banana Paper enthusiasm!